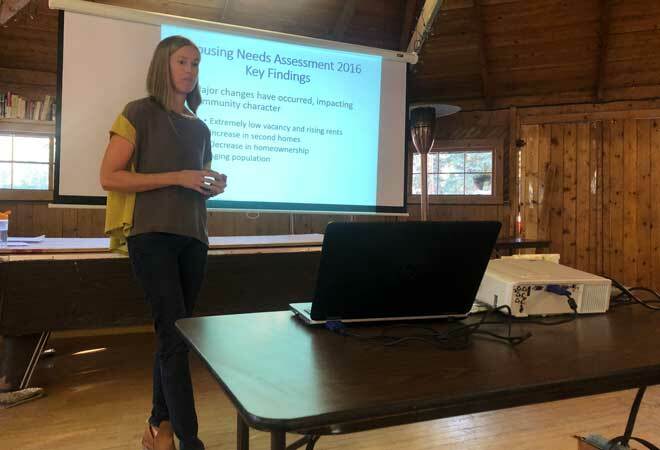 The Gunnison Valley Regional Housing Association (GVRHA) held a public input session in Almont on Thursday, August 23, in hopes of finding new ideas from locals for a housing plan the organization is creating. Ideas were across the board, including encouraging tiny home communities like those in Salida, developing more modular or mobile homes, and being more creative with federal lands and programs. The GVRHA recently received approval from the Crested Butte and Mt. Crested Butte town councils and the Gunnison Board of County Commissioners to put an initiative on the November ballot to increase property taxes in order to generate a sustainable, annual funding stream for affordable housing. In 2017, the GVRHA approached the county commissioners to put this initiative on the ballot, but the request was unanimously denied; the commissioners asked the group to better define the request, detail funding needs and identify additional funding streams that will address the housing crisis long-term. Many of the approximately dozen locals in attendance at the Thursday meeting had ties to affordable housing. According to GVRHA executive director Jennifer Kermode, the purpose of the meeting was to begin developing the regional housing plan, which she hopes to have a rough draft for at the end of October. The meeting began with three presenters speaking to different facets of housing needs in the valley, and what is currently being done. The discussion centered on the disparity between the low growth of income versus rapidly increasing home costs; the difficulty of building affordable housing as construction costs increase; and the programs and projects the GVRHA has been working on. The discussion was then passed to the audience, to get “out of the box” ideas for housing and funding for it. Butch Clark, local philanthropist and founder of the Coldharbour Institute in Gunnison, brought up the idea of tiny home neighborhoods, referring to the one in Salida. “I’ve been approached by Western students and faculty about the concept of tiny homes, and I’m wondering if that’s possible, while potentially allowing Western [State Colorado University] students to learn how to build them in an architectural program,” Clarke said. Kermode said that was exactly the kind of idea they were looking for. Clark also suggested utilizing the Recreation of Public Purposes Act, which utilizes public lands. 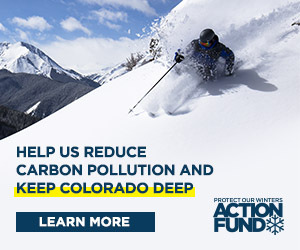 “It’s used very little in Colorado, and the public entity can get land at about 10 percent of the average cost of equivalent acres, and if it’s sold, it has to be resold back to the Bureau of Land Management,” said Clark. This conversation sparked a larger debate about what kind of housing people are looking for—not everyone wants to live in a mobile home, and the county needs a variety of housing. “The point here to me is that we need a spectrum of choices. We need mobile homes, we need rental housing, we need for sale, we need it in all of our communities. We’re in this together,” said Williford. People began chiming in, agreeing that mobile homes were not the sole solution to the complex needs of the valley. “We would not want 30 mobile home parks in the valley—we would want a variety of home options for people,” said Narcissa Channell. To which Schumacher suggested, people could live in mobile homes to begin with, save their money and then buy something in their price range later down the road. Kermode and Williford then shifted the discussion to allowing participants to comment on posters hung up around the room, detailing the Housing Needs Assessment, the One Valley Prosperity Project, the GVRHA mission and current projects. Attendees put up sticky-notes with comments and ideas for the GVRHA to use in the draft plan. Williford said the next step will be reaching out to each jurisdiction and seeking the opportunity to discuss the plan at a study session. Kermode doesn’t yet have a meeting date for the next gathering, but interested people can contact her directly at jkermode@gvrha.org.